Born and raised in a family of builders, John S. Gray is no stranger to construction. By the age of 16, John was already working for his father’s contracting company. Among the numerous skills passed through the generations, John inherited his ancestors’ unique Philosophy and approach to running a business. From Historic Homes to Custom Millwork, John’s 30+ years of experience covers a wide spectrum of home improvement needs. It’s not just about making the sale. John provides a professional commitment whereby a mutual trust is established and customers are comfortable with the process. To ensure the highest degree of quality, John personally inspects all work on both a 6-month and one-year anniversary from job completion. Located in Pipersville, PA, John’s reputation as a remodeling contractor has created opportunities in both Bucks and Montgomery counties, in an effort to accommodate his growing list of References. It’s no surprise that John is always working, working toward perfecting his craft, working toward ensuring that customers are more than just ‘satisfied’, and working toward making John S. Gray a contractor upon whom you can rely. In addition, John S. Gray offers construction training in conjunction with the Middle Bucks Technical School, located in Jamison, PA.
For over 30 years of passion, quality, timeliness, and communication are some of the many traits we hold high when working with home owners in making their dream home a reality. From the initial consultation, to the selection of the best subcontractors, to ensuring your daily life is uninterrupted by your project, we consider ourselves professionals. These are all important factors which should be considered when selecting a contractor to work with. John S. Gray has over 30 years of construction and project management experience. 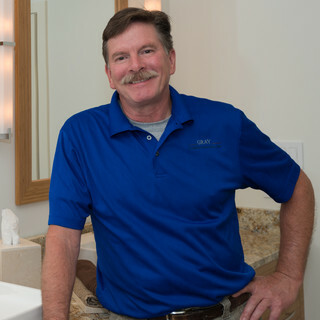 John has personally managed over 100 projects since the inception of Gray Contracting Services, Inc. in 1993. John has encountered any and all types of construction issues over the past 30 years for which he has developed a keen sense for detecting any problems before they occur, or effectively solving the problem if an issue should arise before negatively impacting the project. John approaches each project with a passion and excitement as if project was his own. Contractor of the year for Kitchen Renovation of $80,000-$120,000.